Do you take the time to consider the best places to eat before you even get around to booking your holiday? Is the food a key priority for you when you head abroad? If so, the USA is the place to go. A haven for any self-confessed foodie, America has a wealth of different cuisines on offer. So many in fact, that an entire TV show was devoted to it. Off the back of the success of Man vs Food, we take a look at some of the best eateries in America (in our humble opinion). Then the onus is on you to visit yourself! This French restaurant in the Upper East Side is frequently found at the top of the list for the best eateries across Manhattan, having gained two Michelin stars. The contemporary feel coupled with great food created by head chef Daniel Boulud makes this a favourite among the locals and tourists alike. Be sure to try the Panda Swizzle cocktail to perfectly finish what will undoubtedly be a night to remember. 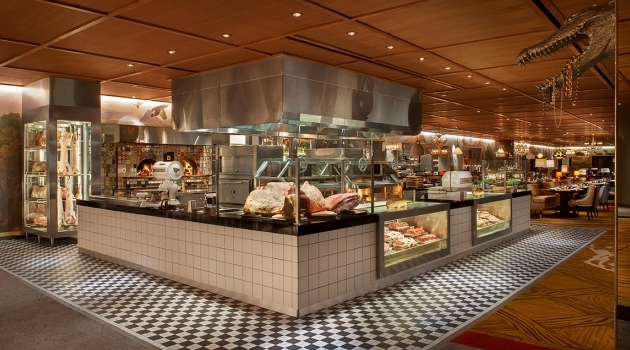 Satisfy your inner carnivore with the incredible choice on offer at Bazaar Meat in the SLS. Chef José Andrés offers a wild, wonderful experience with fun cuisine. Meat is at the heart of this restaurant with guests being able to see the chefs at work, as they create all manner of weird and wacky dishes such as Cotton Candy Foie Gras. The pièce de résistance is the whole suckling pig available by preorder only. If you want a classic American steak in Las Vegas, Bazaar Meat is the place to go. When in Chicago, only a deep-dish pizza will do. 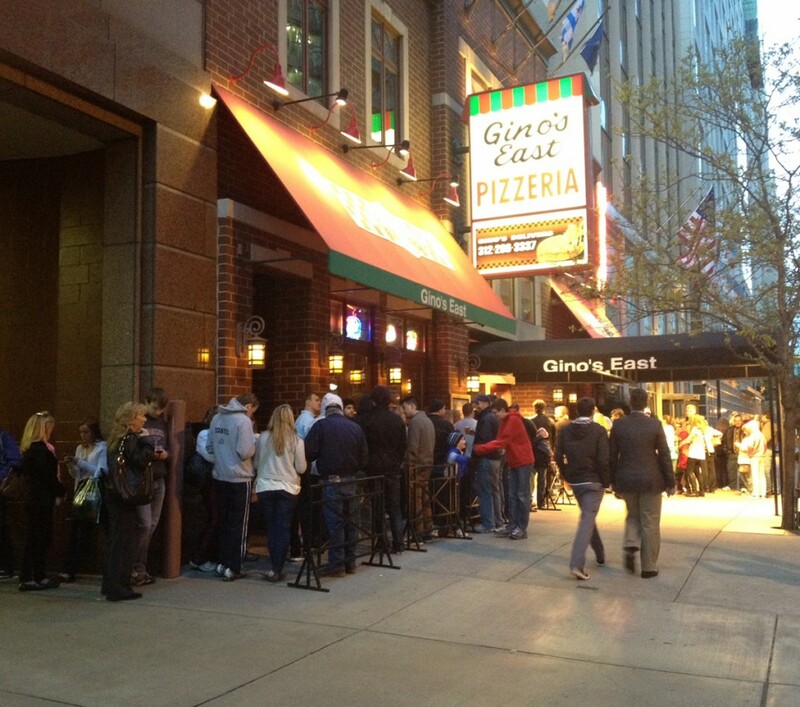 For that authentic, real American-Italian pie, there’s nowhere else but Gino’s East. While enjoying fame brought by Adam Richman, Gino’s East really doesn’t need any further introduction. Handmade, fresh ingredients set these pizzas apart from the rest. Make sure you engrave your own message into the now infamous stucco walls and be a part of history. 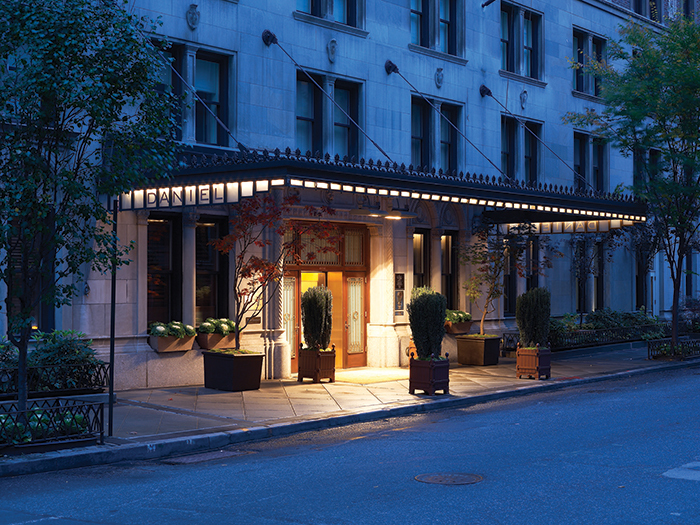 Although not the most obvious holiday destination, Pittsburgh, Pennsylvania actually has a lot to offer. 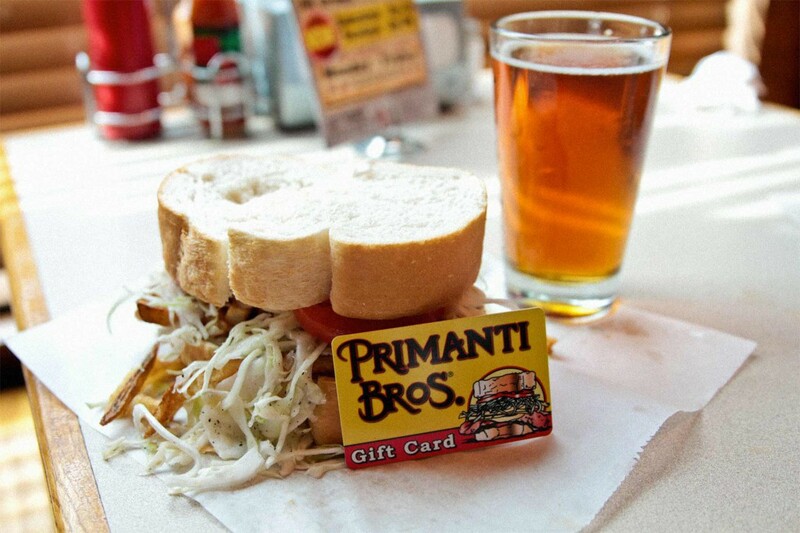 If you’re on a road trip across America, then stop off at the Primanti Bros. They’ve been making sandwiches for over 70 years and we don’t think anybody does it better. Their calling card is soft Italian bread, stuffed with crunchy coleslaw and a pile of French fries with whatever filling you fancy. These are no ordinary sandwiches, so tuck in with both hands and be sure to take a picture – it’ll last longer! If you’re looking for something a little bit special, head to Erling Jensen’s restaurant in the heart of Memphis. Perfect for anniversaries or final nights, this varied menu brings a touch of luxury to good southern food. Lobster pancakes, mountain elk and Kahlua soufflé all feature on the main menu, while the bar offers delectable treats if you want something a little lighter. 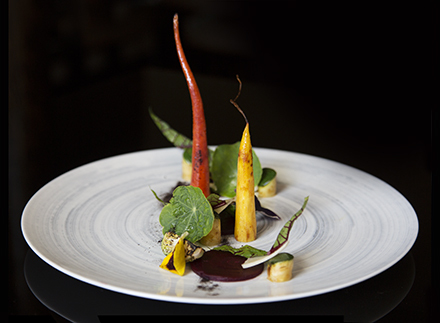 The ambience and service is at the centre of Erling Jensen’s restaurant, so expect to walk away with a fantastic experience. This all-American institution has an extensive and controversial set of rules. They are an Official Idiot-Free Zone and they are all about having a good time. 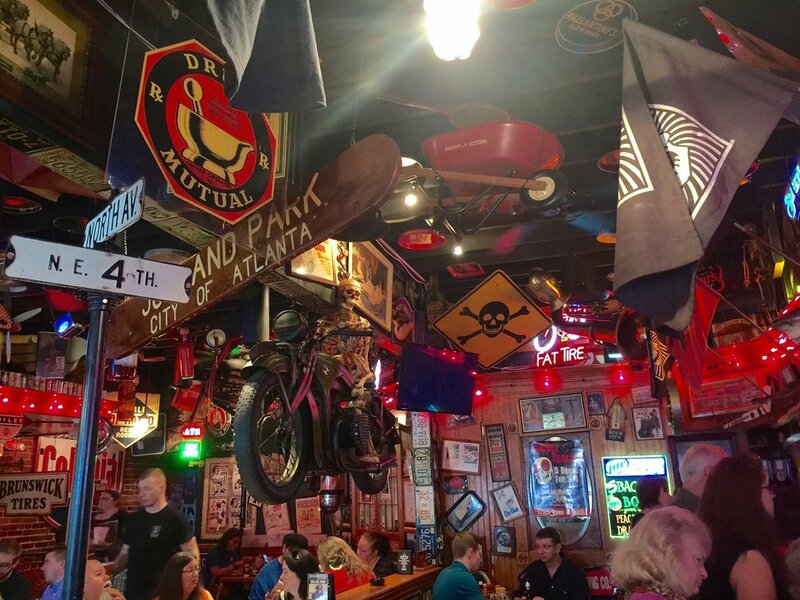 Their Laughing Skull structure has become an Atlanta landmark and this family owned bar and grill serves some of the best burgers in the state! Vortex has won several awards for Best Burger and it continues to this day to be one of the best places to get a classic, American burger. Whatever toppings you fancy, it’s likely you’ll find it on this menu. Just make sure you don’t wind up the staff! If you’re on your honeymoon in Hawaii, or have simply tacked this stunning state onto the end of your holiday to the USA, make sure you grab a table at Mama’s Fish House in Paia. This family-run establishment has become one of the best places in Hawaii to get fresh fish, caught by the restaurant’s own fishermen every day. The menu even names the fisherman responsible for the catch and where it was caught. With a varied menu containing things like ahi, ehu and opakapaka, you won’t find a more exciting or fresh menu than at Mama’s. 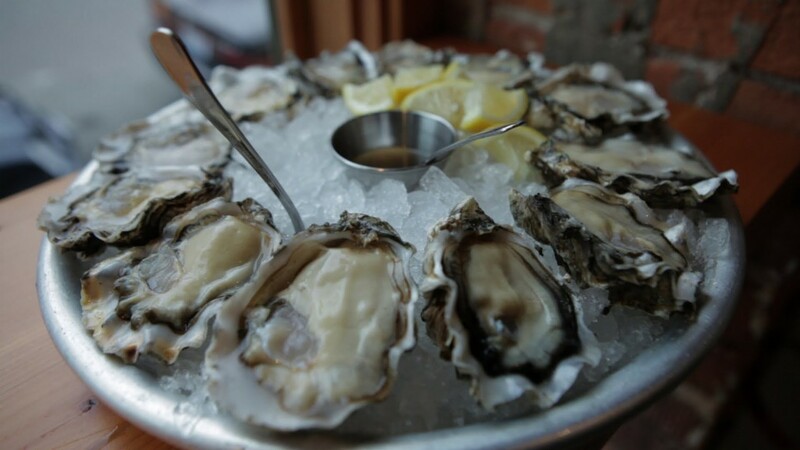 While we’re on the topic of seafood, be sure to check out Taylor Oyster Bar in the centre of Seattle. This is definitely one of the more casual eateries on our list, but it’s by no means any less amazing. As well as serving oysters (obviously), Taylor Oyster Bar also offers up geoduck, crab, mussels and clams, along with an array of beers and other beverages to wash everything down with. For a unique take on fast food, make sure this is a stop on your holiday in Seattle. This cafe was created after a couple of guys wanted food in the small hours at the end of a great night out. They realised there were no options at the time and thus Munchies 4:20 Cafe was opened, serving food until – yep, you guessed it – 4.20am! You can expect the usual American classics like hot dogs, burgers and the now somewhat famous Fat Sandwiches. 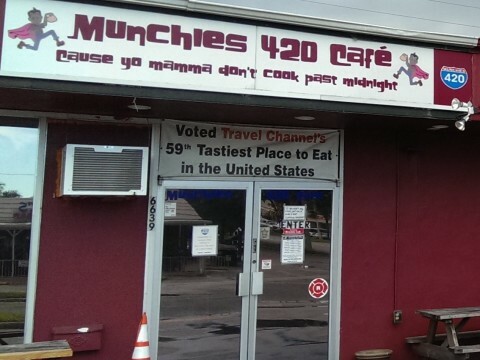 If you’ve got the munchies after a hectic night or the Florida heat causes you to make a pit stop, make sure Munchies is your first port of call. LA is famed for offering all sorts of cuisine and this Japanese restaurant is one of the finest. N/Naka serves vegetables from its own vegetable garden and presentation is immaculate at all times. Thirteen course menus are available with optional wine pairings, so if you want something special and unique, you can guarantee that you’ll get great service and even better food. 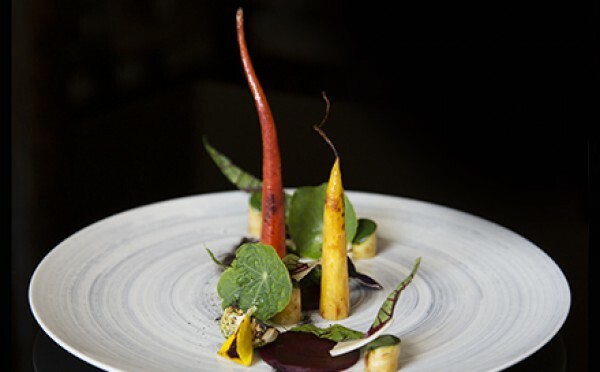 These tasting menus are fantastic if you’re after the experience as much as the cuisine itself. So there you have it. Our list of the top ten best places to eat across the USA. This list is by no means exhaustive – there really are way too many eateries to narrow it down to a specific list, but this is our pick of some of the best ones. They’ve featured on TV programmes, have won awards and boast world-class chefs, so whichever places you pick, you’ll be sure of an amazing meal. If you’d like more ideas on places to eat or if you’re planning a holiday to America, let Bon Voyage help. We’ll be able to recommend great excursions, destinations and of course, restaurants – all based on our personal experiences, so give us a call now and book your holiday to the USA with us.